A new lens has been added to the armoury. 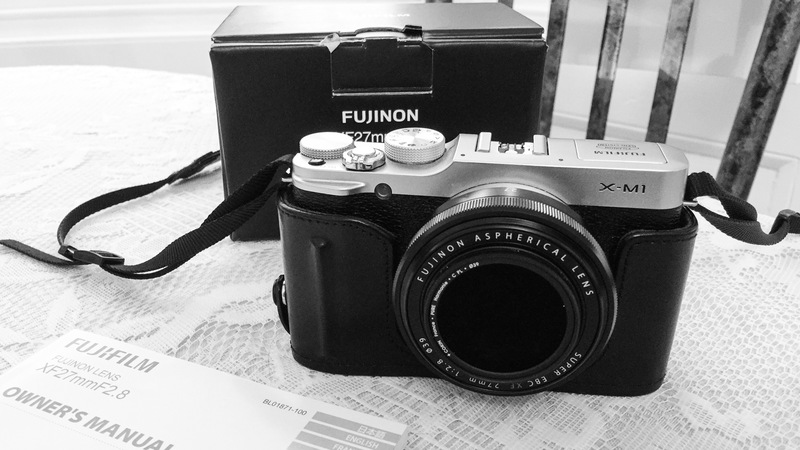 The Fuji 27mm lens is for walkabout holiday photography when we don’t want bulky equipment just a small set up that will fit easily in a man bag or Mrs P’s handbag. Matched to our XM-1 this makes for a nice compact kit. Categories: Fuji, Kit | Tags: 27mm, Fuji, pancake lens | Permalink. Shows you where my mind is…I read the caption quickly and thought you were posting a picture of pancakes. Guess I want breakfast for dinner.